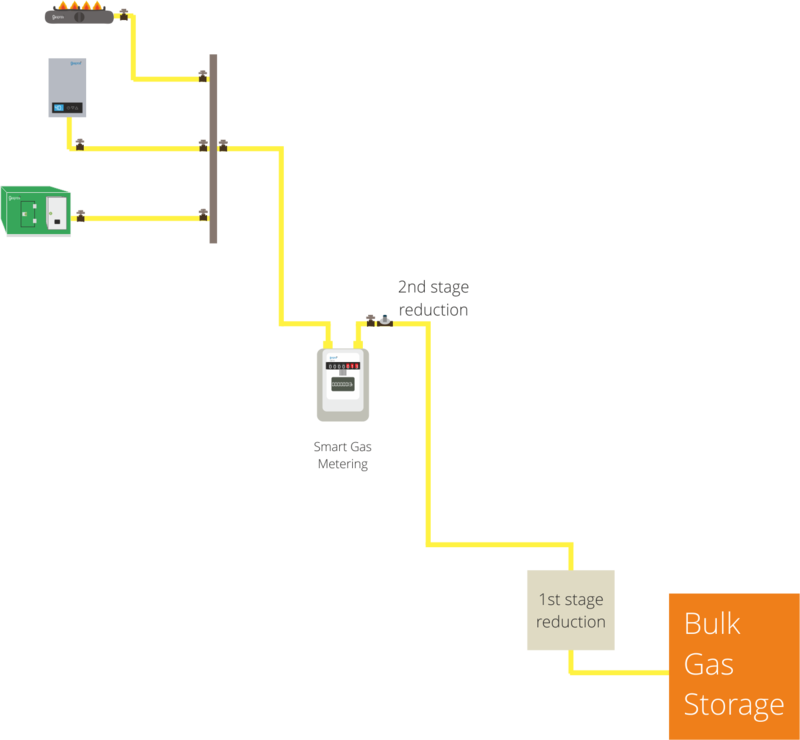 It is smart thinking to plan gas delivery systems in building projects. Buildings having gas infrastructure acquire the ability to plug into renewable resources as and when they are available. Find independent casino reviews, online ratings and helpful tips from our experts. Gamblingid.com compares the Best Online Gambling Sites and Games. Gas delivery systems are not heavy on the purse and reduces power outage impacts. Gas delivery systems enable a convenient and comfortable transition to low-carbon living and also assist buildings to progressively move towards net zero. Our gas delivery systems are essentially low-pressure systems, enhancing safety by design. Our gas delivery systems are grouped into 3 categories and suit both vertical and horizontal development designs. 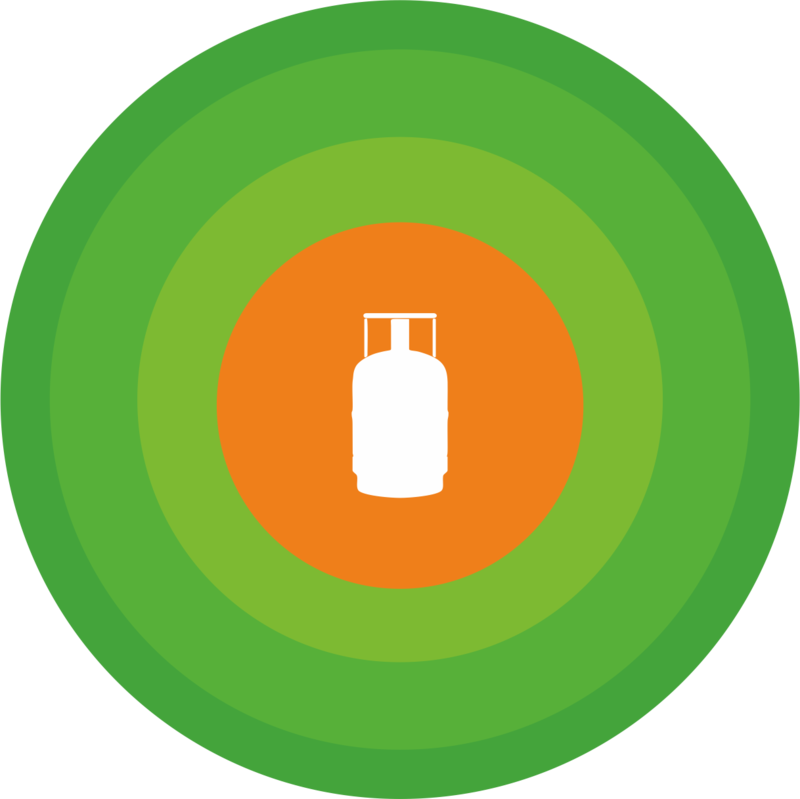 Our entry level low-pressure gas delivery systems facilitate a safe connection of all gas bottles at a central location. Gas is piped and delivery can be planned to multiple points in the building through a distribution manifold to enhance quality of life and experience ‘the gas advantage’. There is a safe distance between the gas storage and use points, that is bridged by piping.By opening a valve one can have gas in the kitchen or in the bath room and any other place of one’s choice in the building. When the first bottle is exhausted switch to the second bottle (spare) by turning a knob on. We also have smart variants with auto switch-over. -It can play the role of a single clean energy to provide stable quality of life within buildings. -The risk of fire accidents at the point of use is completely eliminated. -Buildings with gaspros gas delivery systems will not face stock-out situation. -Our systems are city gas-ready and can seamlessly work with piped natural gas. -Our systems enable buildings to get climate change ready. Our single stage enterprise gas delivery systems are best suited for buildings/projects where the demand is over 10 kg/hr. 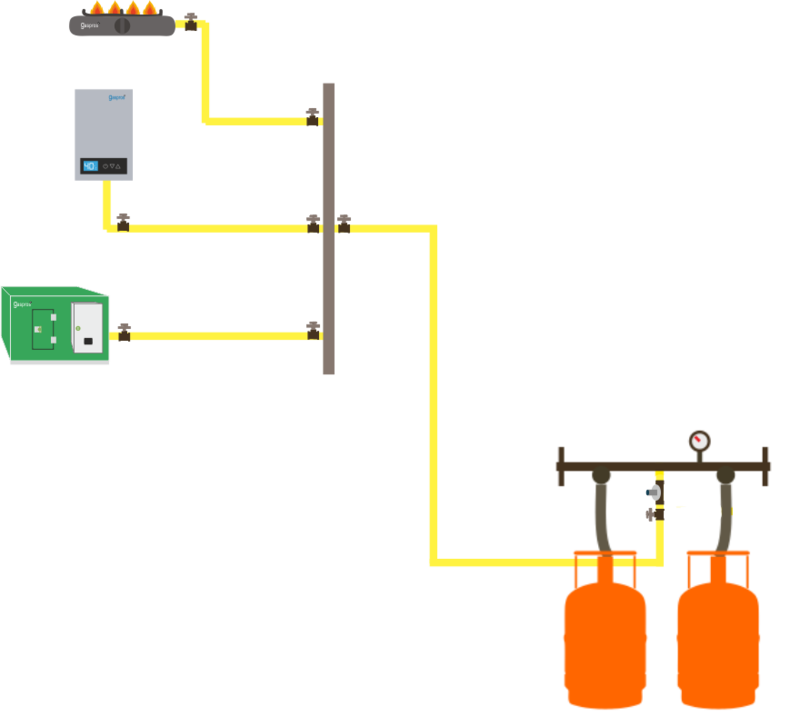 Gas Delivery can be planned to multiple locations within a building complex. To take user experience to the next level and to remediate billing cycle issues, this system comes with smart metering. From a central storage area, gas is piped & delivered to multiple delivery points within a built environment at low pressure. A low-pressure regulation unit reduces the pressure at the point of storage. Gas is then metered and delivered to multiple locations within the built environment. Ball valves at the point of delivery offers safety and control to the end-user. By opening a valve one can have gas in the kitchen or in the bath room and any other place of one’s choice . -They greatly improve safety and vastly enhance user experience. -Building projects with gaspros gas delivery systems will not face stock-out situation. 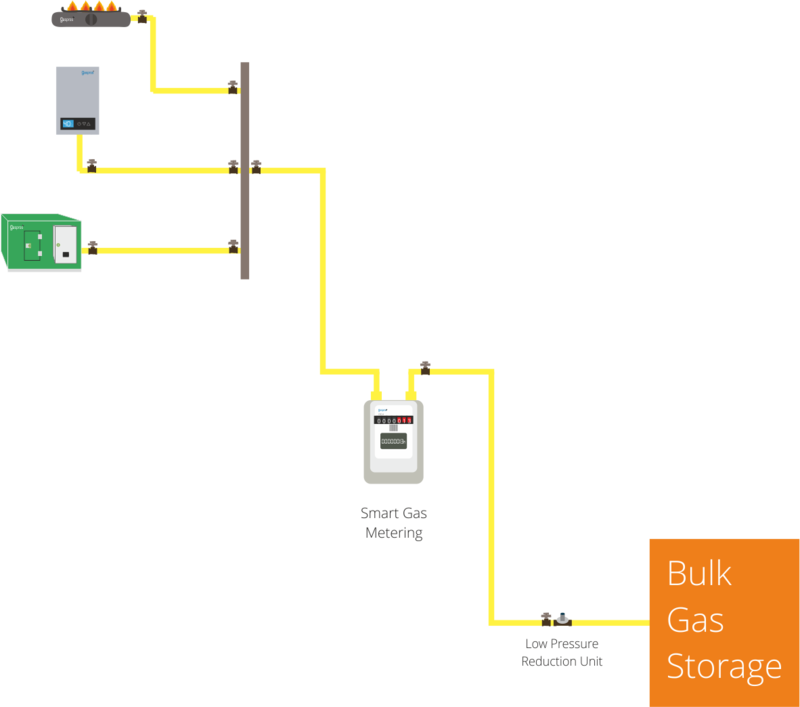 -Our gas delivery systems are city gas-ready and seamlessly integrate with piped natural gas. For builders & developers, this delivers a stand-out marketing edge. For large scale rapid demand build-up, this low pressure gas delivery system with two-stage reduction is best suited. The solution is designed to meet demands in large buildings. To take user experience to the next level and to remediate billing cycle issues, this system comes with optional smart metering. To overcome capital cost barriers, gaspros smart metering is available on BOOT(build operate own transfer). From a central storage area, gas is piped & delivered to multiple delivery points within a built environment at low pressure. A low-pressure reduction unit reduces the pressure at the storage .Gas flows to locations of choice for gas use.By opening a valve one can have gas in the kitchen or in the bath room and any other place of oneu2019s choice in the building. Gas on tap ensures no stock out situation.The metering convenence enhances the experience of using gas.